Sometime around 2 a.m. 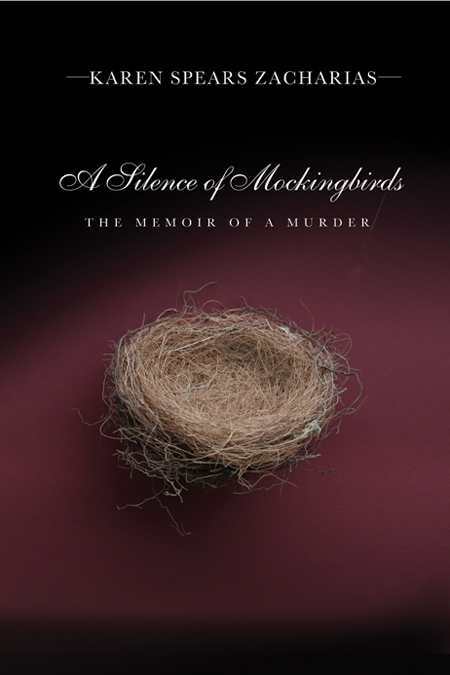 I finally put down Karen Spears Zacharias’s A Silence of Mockingbirds: The Memoir of a Murder. Still, sleep would not come. My mind kept returning to the characters and the events, searching for understanding. Part investigation, part memoir, A Silence of Mockingbirds tells the story of a recent high-profile Oregon murder case. Having once housed a young woman named Sarah during her college years, Karen Zacharias runs into her years later. When the author asks how her daughter, Karly, is, Sarah tells her she has passed away. Shocked, she looks up the toddler’s death online and discovers that an ex-boyfriend of Sarah’s has been found guilty of murdering Karly. Haunted by this news, she starts looking into the events leading up to Karly’s death. A former crime reporter, Zacharias has done an impressive amount of research. Like Capote’s In Cold Blood, the book has been written in the tradition of new journalism, combining journalistic techniques with Zacharias’s own perspective and a literary description of events. The writer’s proximity to the people involved, along with her journalistic eye, make for incredible, fast-paced storytelling. As the author recounts the community’s failures to save Karly, the suspense builds to nearly unbearable levels. Karly’s daycare teacher is the first to notice signs of abuse—Karly’s missing hair, bruises, and change in mood—and calls the authorities. In a sad error of shortsightedness, they target Karly’s biological father as the primary suspect. This mistake leads them to overlook Shawn Field—Sarah’s live-in boyfriend—as the potential abuser. While reading this, I kept thinking of a fact I once read: children living with a stepparent are forty times more likely to be killed in the home than those living with both biological parents. As Karly’s abuse escalates, the questions continue to mount: Why didn’t the authorities investigate Shawn Field from the start? Why did they settle for having Karly evaluated by her pediatrician rather than their designated child abuse specialist? And, why, most horribly, does Karly’s mother seem not to care? Told in clean, avid prose, this is a must-read for anyone who likes true crime, suspense, or just plain good journalism. Those with a curiosity for the dark side of human nature will be reading long after the lights go out.